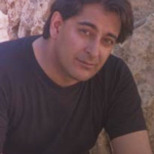 Afshin Rattansi is a journalist, author of “The Dream of the Decade – the London Novels” and an RT Contributor. Afshin Rattansi began his journalism career on The (London) Guardian in the late 1980s as one of the newspaper’s youngest ever columnists. He went on to work for Britain’s Channel 4, BBC, Al Jazeera Arabic, CNN International and Bloomberg Television and many other media. In the run-up to the Lehman Brothers crash of 2008, he published a collection of four of his novels as “The Dream of the Decade – The London Novels.” As US pressure increased on Iran, Afshin moved to Tehran to anchor the news on the new satellite TV channel, Press TV which was later banned in Britain. He set up Alternate Reality Productions in London in 2010 making Double Standards, a comedy satire show as well as other TV news commissions. His writing has also appeared in the New Statesman; Counterpunch; The Oldie; Plays and Players; Mitchell Beazley’s Encyclopaedia of 21st Century; The Journal of the British Astronomical Association; Association of Lloyd's Members Journal; Critical Quarterly; Makers of Modern Culture (Routledge, 2007); “Brought To Book” (Penguin, 1994); Flaunt; Attitude. He is a founder member of the Frontline Club in London and he won the Sony Award for outstanding contribution to international media in 2002. With new revelations of constant US government spying on citizens’ activities and desperate efforts to hide the truth, Barack Obama is likely to go down in US history as one of the most unconstitutional presidents, says RT contributor Afshin Rattansi. RT:This is obviously quite a shock to Verizon users but does this come as a surprise to you? Afshin Rattansi: I think one can get blasé about the fact that the United States is repeatedly breaking its own Constitution. Glenn Greenwald, the journalist who broke it, I don’t know whether he’s on Verizon. He’s leaked this – this is the FBI document. To Americans, what it says: “It is further ordered that no person should disclose to any other person that the FBI or the National Security Agency has sought to obtain tangible things under this order.” So the order itself is trying to deny itself, signed by Judge Roger Vincent. Who is he? I don’t know, maybe the sunshine in Florida has got to his head or he’s a Tea Party judge. It’s very interesting and I think the way it’s going to play in the United States, it will play quite big. Former vice president Al Gore, under Bill Clinton, who hardly ever says anything against Obama, has already tweaked him saying “Is this really the state of things?” Implying is this what James Madison and Thomas Paine, meant for the US Constitution? Is this leading up to President Obama signing an order? It was signed ten days after the Boston Marathon bombings. RT:What about the man who leaked this? Are we looking at another Bradley Manning case now? AR: I was looking at Roger Vincent, the man who signed this document, and his term expires as judge of the United States Foreign Intelligence Court. FISA, those secret courts in the United States. They expire, as far as I saw, on May 4 of this year. Could he be leaking it? One wonders, certainly he’ll be in the spotlight now. But of course more seriously, as to your question, Glenn Greenwald, presumably, his phone will be bugged. Journalists will be bugged and that is going to stop these sources from leaking. The United States and the Obama administration is desperately trying to stop the truth about mismanagement, Constitutional mismanagement, getting through to the American public. RT:Of course the US government has admitted this after this report went public. It does make you wonder what else is going on behind the scenes, doesn’t it? AR: Exactly and I think that hopefully all the whistleblowers, people that leak documents like this, will be unafraid but the Obama administration has charged people with the Espionage Act of 1917 more times than any other and it will be great to see whether they charge the journalist that leaked this Glenn Greenwald, presumably. President Obama won’t be happy with the fact that he’s being revealed as being worse than McCarthy? RT:The US government will say this is a necessary tool to protect the people and national security. Is it not, then, a case of people sacrificing their privacy in order to make the world safer. It’s as simple as that isn’t it? AR: Those are the exact words used by the Obama administration in response. I think the odd thing about this court document is that foreign calls made from the United States weren’t liable to the same record keeping for the National Security Agency and the FBI. Presumably they’re talking about home-grown terrorists here because even under what you’re saying “We need to monitor people’s phone conversations, times of calls, and monitor where people are.” Surely, you know, isn’t the War on Terror abroad? So basically if you’re phoning someone in Chechnya your call wouldn’t be registered under this law. The whole thing is a piece of incompetence dreamt up by people who obviously have no respect for the Constitution. RT:Some will say that sounds like an overreaction. 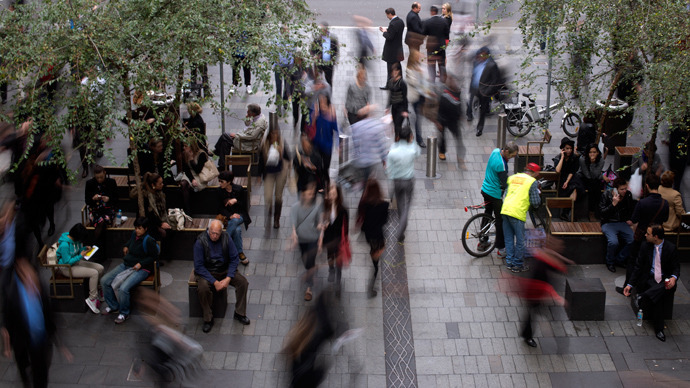 It’s only data that registers the telephone numbers, the time of the call, also various other significant statistics but not actually the content of the conversation. So if you and I are being modest and saying we’ve got nothing to hide then why should we worry about this? AR: If it’s not that valuable then why do they want it? If one was going to make that argument then the government should release all these records. One can only just imagine what journalists would do trolling through all these records. Imagine the kinds of connections between lobbyists mobile phones and those of senators and congressmen. One could draw huge amounts of conclusions about billions, trillions of dollars and federal policy. There are no limits to what one could deduce or infer, at least related to these mobile and cell phone records. RT:Do you think this type of thing is going on in the United Kingdom? AR: In Britain we have stricter laws, as far as I understand. But Britain bans books. Britain recently banned a book about Scientology and in fact someone just had a sting about corrupt British politicians and the first thing David Cameron did was not to look at the problem of lobbying but to stop journalists from being able to be able to create fake lobbying companies to “entrap” Britain’s lawmakers. So Britain is desperately trying to cover up as much as they can, just as much as our cousins over the pond. RT:Should we be concerned? Do you think that prying eyes will now turn to email and Internet traffic on personal computers or are we actually naïve in thinking that’s not already happening? AR: President Obama just appointed Susan Rice as National Security advisor, widely considered a terrorist in many developing nations I’ve been to. You add up Obama’s program, this piece of appalling legislation and court order, to the people he’s putting together and this is a very dangerous administration. Desperately trying to cover up whistle blowers, assassinating people, I think people who saw the Nixon era and the Reagan death squad era – all of those people and contemporaries of that period – are saying that things have never been this bad. RT:Politically, the Associated Press scandal was very embarrassing for Obama. What about this? What does it do for his political standing? AR: The thing about the Democratic Party, the big base of party is that they always vote Democrat. Especially with the split of the Republican Right with the Tea Party, President Obama doesn’t really seem to have to care about the standing he might have. Obviously he’s not seeking re-election but President Obama is a former Constitutional law professor. He’ll go down in history, presumably, as one of the most unconstitutional presidents in US history.